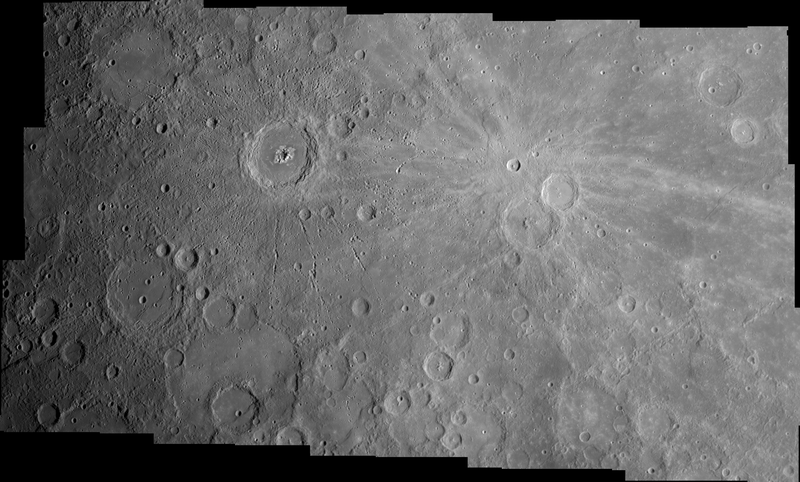 Still working on mosaics of images from the MESSENGER mission's January flyby of Mercury. Here are a few more I've worked on. 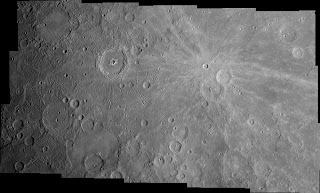 WARNING: these mosaics are quite large, so it may be best to right-click, save to hard drive, then view it on a your favorite image viewer. 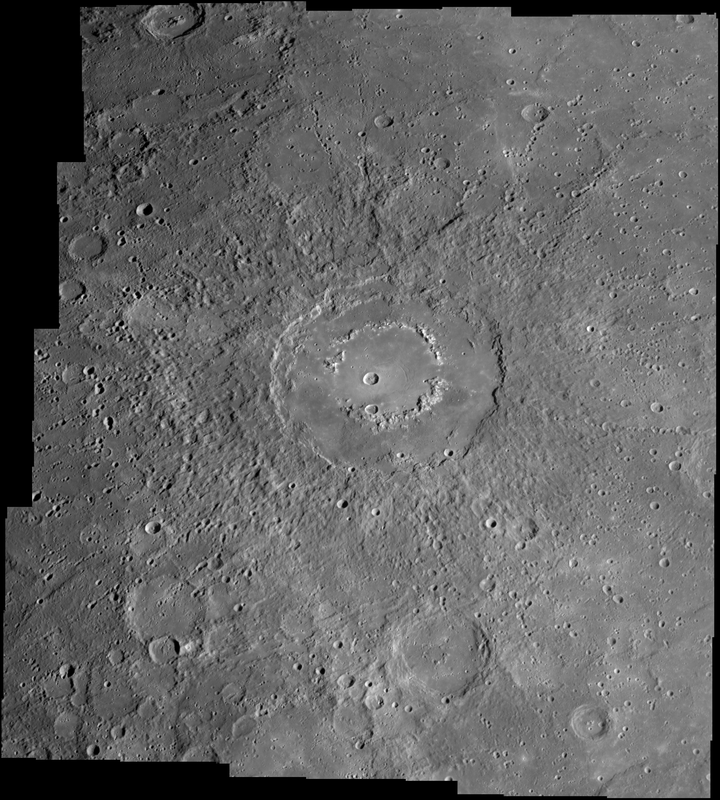 I am currently trying to generate a 8000x8000 pixel full-disk mosaic of Mercury. Not sure how well it will go. Photoshop hates these REALLY large mosaics... That's why I cut up the northern hemisphere mosaics into several, smaller chunks. 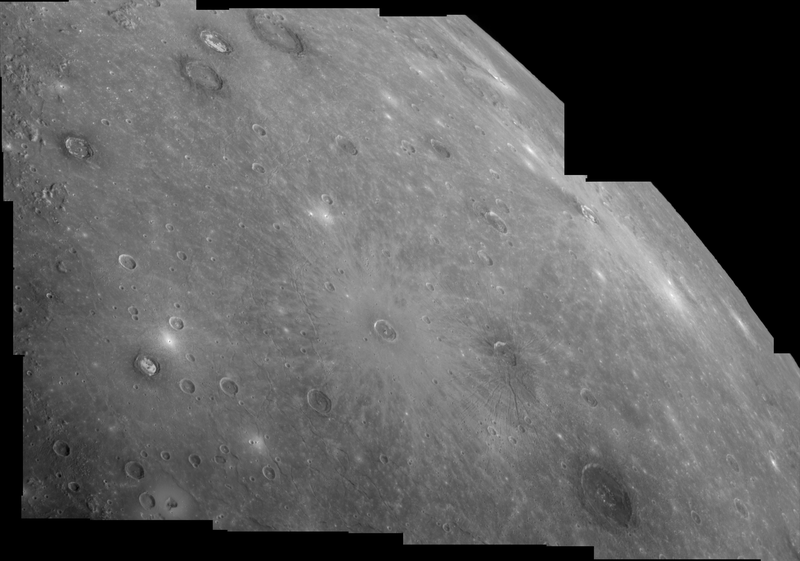 Here is what I have so far showing the southern polar region.